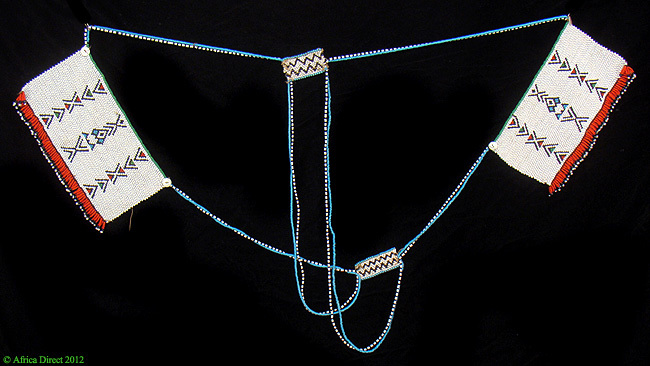 Dimensions Large Squares: 8" x 4.75" ; Small Squares: 2.5" x 1"; Total Lenght: 30"
Additional Information: A superb necklace from the Xhosa, worn around the neck. 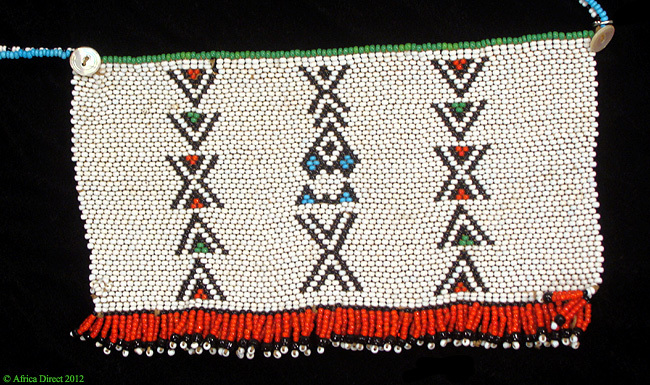 The Xhosa of the eastern Cape region of South Africa have a history of beadwork as long as that of the better known Zulu and Ndebele. The uses of beaded garments, bags, jewelry and objects continue until today in the rural areas. For similar examples worn by young Xhosa see similar adornments in VANISHING CULTURES of SOUTH AFRICA by Peter Magubane and also, DRESS AND ADORNMENT by the same author.